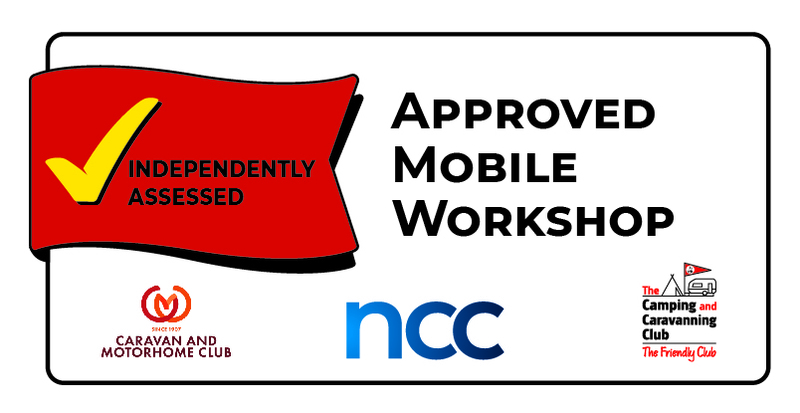 Long established business and members of the approved workshop scheme. Fully trained professionals delivering our comprehensive range of services and products for your leisure touring vehicle at your home, storage or sited pitch. Based in Chesterfield, Derbyshire and we travel to you. Members of the Approved Workshop Scheme giving customers an affordable option for warranty servicing and repairs on new caravans or motorhomes. For Swift, Hymer Group and Adria, all service documentation is uploaded to comply with the manufactures warranty procedures. Chatsworth Motorhome & Caravan Servicing Ltd specialise in servicing caravans or motorhomes at your home address, storage site, or at your holiday pitch. We offer a comprehensive range of services and products. Approved service agent for the major parts and appliance manufacturers - Al-Ko, BPW (as was), Truma, Thetford, Whale, Alde, Dometic and others. We are also a fully approved Adria Motorhome & Caravan Service Centre. We cover a 20mile radius from Chesterfield, Derbyshire. Call for more information and remember WE come to YOU !! Take a look at the comprehensive range of manufacturer & NCC approved services. Certificates are available for you to view online. "Annual service carried out today by Dave Shaw from Chatsworth Caravan Service. Dave is an out and out professional and takes pride in his work. This is the third year Dave has serviced our van and he never fails to let us down taking care of every detail. I can only recommend this company to anyone who is looking for professional help with their caravan or motor home." All our accreditiation certificates are available to view online. If you would like further information about our accreditations please contact me.